We just started fair and festival season in Washington and last week my husband and I attended Meeker Days in Puyallup. 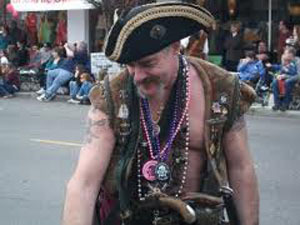 Billed as the largest festival in Pierce County, it certainly lived up to its name. You’d walk down a main street lined with booths only to find all the cross streets also full of vendors just about as far as the eye can see. They had a building full of exhibits, also. And live entertainment, lots of food, a beer garden and a car show. There could have been more, but my feet started talking to me and telling me to sit down so I didn’t cover all the territory. One of the vendors sold bird houses with swimming pools. Lucky birds. I love the fairs and festivals we have around here. For some reason all the best ones usually fall on the same weekend and I’m not sure why that is. They are just good old-fashioned fun. Kent Cornucopia Days, Kent. July 7-10: Dragon boat races, a run, crafts and more. Capital Lakefair, Olympia. July 13-17: Carnival, entertainment and food with a Candyland theme this year. Sequim Lavender Festival, Sequim. July 15-17. Self-guided tours of farms, a street fair and all things lavender. Bellevue Arts Museum Arts and Fair, Bellevue. July 29-31. 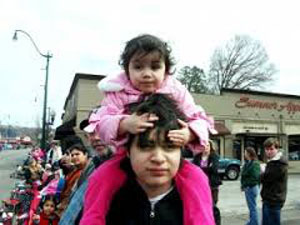 Live entertainment, hands-on kid’s activities and lots of outdoor art. Morton Loggers’ Jubilee, Morton. August 11-14. We celebrate everything here including lawn mower racing and lumberjack skills. Auburn Good Ol’ Days, Auburn. August 12-14. School reunions, a fun run, car show and a honey bucket building contest. Tacoma Maritime Fest, Tacoma. August 27-28. Boat building, awesome harbor boat tours, live music and Almond Roca. What is your favorite fair or festival and why? 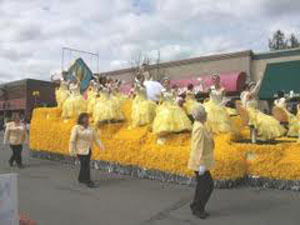 This entry was posted in Fairs and Festivals, Family Fun, Seasonal and tagged Auburn, Bellevue, fairs, festivals, Kent, Meeker Days, Morton, Olympia, Pierce County, Puyallup, Sequim, Tacoma on June 24, 2011 by admin. 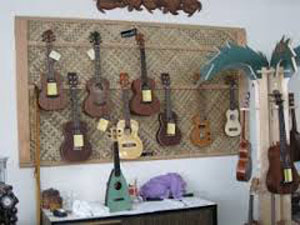 You wouldn’t expect to find ukuleles for sale in a plus-size consignment shop, but that’s exactly what’s going on at Queen’s Closet in Lakewood. 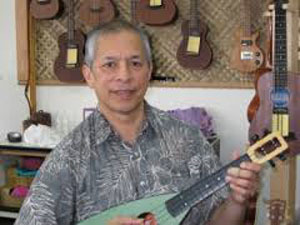 Ray Alonzo Sr. gives ukulele lessons and sells instruments as well as any supplies you might need to play it and his wife, Sandy, runs the consignment shop. I sat down with Ray Alonzo to find out more about his thriving business. Here’s what he said. What brought you to Tacoma? Ray: My wife and I met when we both lived in Hawaii. When I joined the military, I was stationed at Fort Lewis and Sandra found a job with Pierce County. Sandra frequently shopped at Queen’s Closet when it was located on Tacoma Avenue, so when the owner asked if she wanted to buy the business, she jumped at the chance. How do you happen to sell ukuleles in the consignment store? Ray: I’ve played the ukulele for years now. People began inquiring about learning to play Hawaiian music so I offered my place at Queen’s Closet and it kind of morphed into both teaching and playing the ukulele there. I needed to stay close to Sandra’s business because I do all the computer tasks and everything on the honey-do list. What else do you sell besides ukuleles? Ray: I give private and group lessons Wednesdays through Saturdays and we sell all the accessories like tuners, music stands and more. What is Monday Ukulele Ohana? Ray: Ukulele players get together and practice every Monday. We started with four or five people and now it’s grown to more than 70. One woman even comes all the way from Spokane, although she comes just once a quarter. I teach the first hour (5:30 p.m. – 6:30 p.m.) then we have a potluck, and from 7 p.m. to 9 p.m. we have a song circle. People bring in music and if we can, we play it. If we can’t, then we learn it. Is learning to play the ukulele a popular trend right now? Ray: I see a lot of teens taking up the ukulele and I’ve also gotten inquiries from school programs who want to buy ukuleles, so yes it is. How long have you been playing the ukulele? Ray: I started when I lived on the Big Island of Hawaii and played at church. I continued to pluck away and fell in love with the instrument so my mom bought me one. Learning wasn’t formal then, so I picked it up by ear – I hear the sound and progression of the chords. I’m basically self-taught. Please tell me a little more about Queen’s Closet. Ray: Our store is for the community. We keep items on the floor for 90 days and if they haven’t sold by then we donate them to the Purdy Correctional Facility or Washington Women’s Employment & Education. Nothing ends up in the landfill. We also have consigners who bring items here to be sold and they give all that money to a charity. Queen’s Closet is located at: 9614 40th Ave. S.W. in Lakewood. You can reach Ray or Sandra at: 253-475-9576. This entry was posted in Family Fun, Personalities and tagged Big Island of Hawaii, consignment shop, Hawaiian music, Lakewood, Pierce County, plus-size, Queens Closet, Ray Alonzo Sr., Sandy, ukelele on April 20, 2011 by admin.